Bruce Soord, mostly known for being the creative genius behind The Pineapple Thief, is among the most talented nowdays prog musicians. 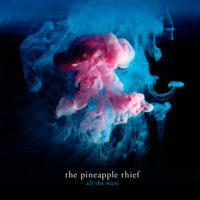 His unique style, defined by a renowed lightness in sound, which tends toward the light rock and is mixed with properly prog elements, made The Pineapple Thief a band with an exponential increase, that began in the early 00’s, and culminated with Dissolution. Dissolution (Kscope) is an album that seems to encompass the whole musical path made by the band. 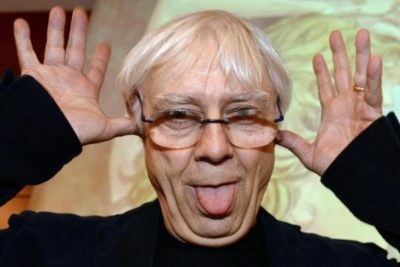 Bruce Soord, in his long-term music career, was also the author of a solist album (2015) and the co-member, together with Katatonia Jonas Renkse, of the Wisdom of Crowds project (2013). We, InsideMusic people, had the chance to chat with Bruce Soord, talking about his carreer, Dissolution, and his music preferences. Hi Bruce! Two years ago, Your Wilderness came to light. It’s an album which your progressive vein has increasead in. Does Dissolution follow the same path? Or is it even more progressive than the previous one? I don’t know, I don’t think we actually put a lot of thoughts of how it was gonna go, we just got all together to play. Nobody said “It’ more proggy, or less proggy, or rocky”. We just let it go. It’s a truly different record than Your Wilderness but it’s still a very progressive work; there are very proggy elements, the songs are quite diverse. If you listen to a track like Threatening War even if it’s a quite melodic rock songs, it still has time changings, it goes through middle sections and so on. There is this eleven minutes song, which is a very proggy thing. We’ve never been so progressive in a strict way, we are not that kind of band; it’s a very much more melodic, song based, style of progressive rock. I listen so much The Pineapple Thief and this is something I’ve noticed from the first time. There is a clear influence by prog music, you can hear some progressive rock mood, but it’s mixed together with so much pop, alternative, and sometime, ambiental music. 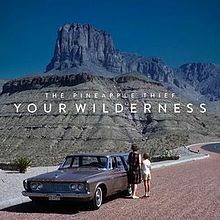 This is one of the things that define The Pineapple Thief musical style; in Far Below, I can hear so much progressive rock elements. This is the reason why I’ve asked this question. 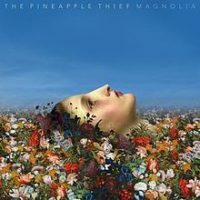 If you think about All the wars, Magnolia, Your wilderness, it’s impossibile not to notice rthe huge variety of musical genre into each album. TPT has always shown us, with each album, a lot of new elements to discover. How much of “new” element there will be in dissolution? That’ws a good point. We never want to make the same album. Magnolia was the truly rock album, Your Wilderness was kinda softer, more progressive rock, I guess. Dissolution is again, different. It’s got a lot of more depth, because the writing process was strikingly different: we all co-wrote the songs, and there was the help of Gavin [Harrison]. The drum is very much integrated into the album, it’s a fundamental part: so yes, we can say that Dissolution is a much more coherent album. Your Wildnerss was, probably, a looser record: I wrote the songs, and Gavin’s drums were recorded on top of them. In this case, all the songs just went together very tightly: it wasn’t just me writing the songs, and then, all the others playing their part in the end. Talking about Gavin Harrison, you co-worked with this huge artist, and you can tell us that he influenced the sound of this album. So, he played a truly important part. Yes! Gavin joined us only as session drummer during Your Wilderness era. But then, with time, he turned to be more than only the session drummer: he became more involved in our music, because he started with chopping things around, writing parts of songs. That’s why he agreed to join us in tour. And then the time to write the new record arrived, and it was like “ok, Gavin is a part of it”. He’s actually a member, he’s a pineapple thief! It just happened so naturally. When you’ve been doing this as I long as I have, I mean TPT first album went out in 1999, you are very glad that a new element joins you: something to throw into the “cooking pot”. And Gavin was perfect to give us this new “era”. Which are your expectations about this album, especially now that you’re under rock world spotlight? Do you expect a good feedback from the audience? I never expect anything. All of sudden people are treating us as a band, and lot of people will ask “who are these guys? Who is this band? Why so much hype? Let’s see if I like them”. So I think that it will be well received, but I must confess that we didn’t make any assumption about how it could go, we are proud of it and we just don’t care. About prog rock, there are so many different styles, so many different sub-genres, that we cannot know if we are the band who people could like. So yeah, I’ve played all of my career and I’m quite happy if people like my work, but as always, we will see. So the key is that you love to make music, you’re happy if people like it, but you don’t care if they dont. It’s art for art’s sake! I think so. If you start to think about it so much it’s a real a slippery slope, it’s a dangerous way to be. You can end up replicating entire records because people liked your music that way. And so what I personally think when I write a song it’s not if it will be good enough, but how I will feel on the stage playing it. This is a new song, and this is called this, we are going to play it and you’ll love it. This is a more personal question. TPT is the perfect mix between pop rock and progressive music. In your mind, which side is predominant? 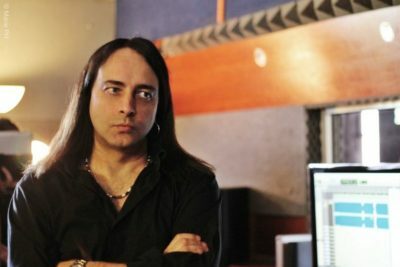 I’d say probably the progressive element is the most important one, because, when I was a kid, I listened to a lot of melodic prog bands from 70’s: I used to like Supertramp, and very melodic stuff like Camel, and there some Alan Parsons Project records that I really loved because of their prog elements wonderfully mixed with more commercial ones. If you listen to The Crime of the Century [a Supertramp album from 1974] there are so many melodic elements; about the 90’s, there was the grunge, the punk, but I really didn’t want to be that kind of band. There’s got to be melody, there’s go to be something that you can grab. That’s what I feel, for music. Let’s go back to talk about your album. Starting from the single, Try as I might, dissolution seems to be much darker than Your Wilderness. Is there any specific concept running through it, is there a story hidden behind it? Yeah, of course! It’s like a concept album. 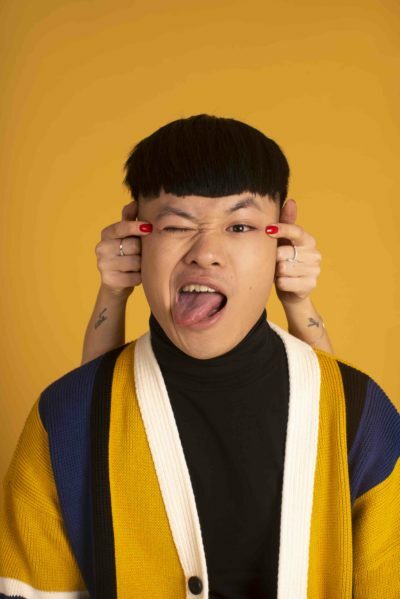 The songs descrives how connected we all are, how dependant by our smartphones we are (there are statistics stating that we check our phone even 50 times a day): there is this smartphone addiction, and it’s changed also the way how the kids communicate with their friends. I think this has gone too far. 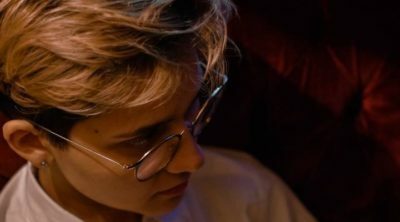 The album is about how we witness that the technology is changing the way we connect to each other, and how it has changed people, also the people I personally know. Try as I might is specifically about how to escape from this people looking at you: if you look at the video there’s me being chased around by a camera phone. The ultimate topic of the album is still about people relationships, love, life, and you know, all this kind of human stuff. I’ve noticed that this topic is very common now, in music and art. There is a very strong need to talk about it, about this liquid society is ruining and altering human relationship. Is this something that you feel personally? Do you think that some of yours personal relationship has grown fake or has been ruined by this new way of communication? Or it’s just something that you see around you? It’s both. It affected by life, I can see it in my family. I wouldn’t say that we need to smash all of our smartphones, deleting Facebook, because there are some good uses: keeping in touch with friends, with loved ones. But there’s something much worse, there are people so obsessed with getting validation through social media that it’s like a drug, now. From where I’m standing it’s something that touches me in a personal way and it inspired me to write this album. And talking about your inspiration, previously you mentioned Supertramp, Alan Parsons Project.. So, now, say us five artist who most contributed to define your music personality. Ehm. I would say Supertramp, probably I have to say Camel because as a child they had a huge influence on me, and then Alan Parsons Project, but then, in the 90’s there are some grunge artists but I wouldn’t say anyone in particular. I have to add Pink Floyd, but the most surprising is probably Beck. Jeff Beck. He made this wonderful acustic album, and it had a so big influence on me. Every musician, since the very begin of his career, lives of desires and ambitions that leads him, sometime, to nurture rather particular, strange lifelong dreams. Are there any music projects, any longings, any primordial intentions that you cannot manage yet to realize and that, one day, you would love to? I’d really to write soundtracks; I find very easy to follow a mood and to write according to it, and to interpret visuals into a musical form. And I really enjoyed Wisdom of Crowds, an album I made with Jonas Renkse from Katatonia: I would really like to repeat it, but Jonas is always too busy [laughs]. But my highest hope now is that, in ten years, I will be still writing music for TPT. 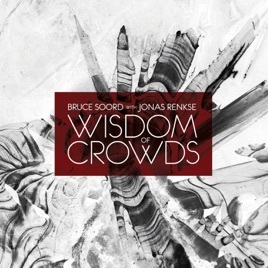 Artwork of Wisdom of Crowds, Bruce Soord’s and Jonas Renke’s project. This is wonderful. There is now a much more sudden question. Every musician has his sacred places, his artistic rituals, his needs. When Bruce Soord is working on new material, what are the elements he cannot do without? This is a funny question. I’ve always had my studio in my house, in my lovely attic, and obviously I cannot do without that, because I’m a full time musician (and yes, I still don’t realize how lucky am I to be able to do this a job). What I can’t do without is my studio cat! She helps me in everything I do. And also I’m very happy to live in the UK, in Somerset county, we are really close to the coast, with a wonderful and wild coastline. It’s very inspiring. When you don’t leave the house, you tend to go a little bit mad: you have to get out and it’s nice to have a so nice area here around. Yes, I hope that this time there will be a bigger crowd [laughs]. Well, even if there weren’t so many it was still lovely, it was very intimate. This is gross. There was a big audience for prog in the 70’s, we had some of the most influencing bands in the genre ever. Yeah, I cannot imagine how it means to be a musician in a different country. I love living in England. I agree, you had lots of big italian band, like PFM, it’s the most important one if I remember well, and Banco del Mutuo Soccorso. If we go back to talk about your last album, you can say that Dissolution is among your best works, or is your best work, or you cannot chart them? It’s difficult. You always consider that your last work is your best, because it’s still fresh in your mind. You have to wait some years and then look back. 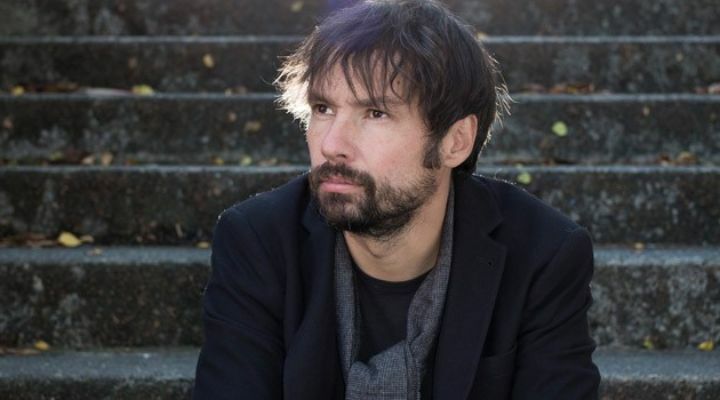 I’m very proud of the new record, but so I was as writer also of some tracks in Your Willderness: In Exile and The Final Thing on my Mind are my favourite song. 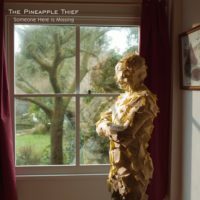 But I was also very proud of Someone here is missing album. If I think back of my first 5,6 albums, I realize that they were mostly solo projects with a very small label, and I can spot the evolution the band made: our first album to get some recognition was Variation on a Dream. After that, we started to play live, and that was the album that got me on Kscope. Steven Wilson heard it and suggested me very strongly to get a decent label. 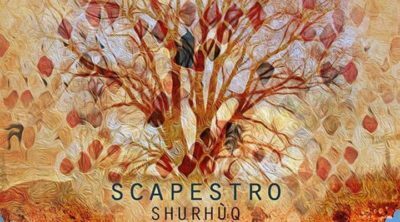 And so it started the Kscope era, with Someone here is missing, one of the most difficult album I’ve ever made. In the end, I truly feel that Dissolution is the begin of the next The Pineapple Thief era. 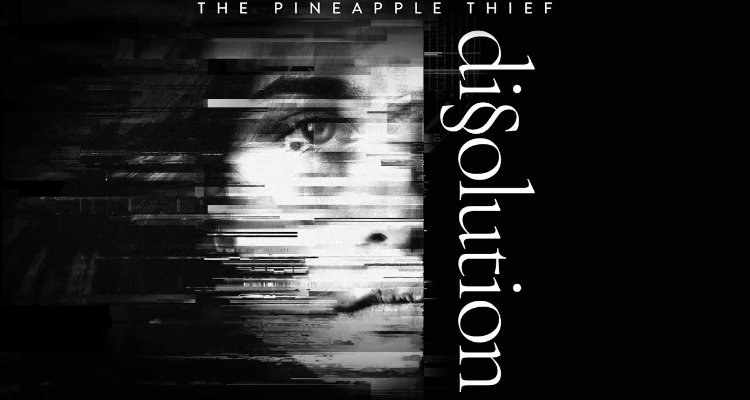 In the end, I truly feel that Dissolution is the begin of the next The Pineapple Thief era. And so this was the last question. You were very kind, it was wonderful to talk with you. We will meet in Rome!